Scenic Walhalla, North Dakota is a picturesque community nestled along the end of the Pembina River just east of the colorful panorama of the Pembina Gorge and surrounding the hills and valleys, located in the "Rendezvous Region". As the second oldest community in the state, Walhalla has also been blessed with a rich historical heritage. These two amenities--natural pristine beauty and a rich colorful history will provide an exciting and tremendous future for our friendly community. 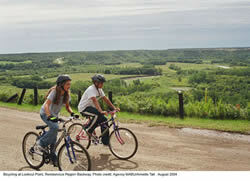 There are many ways to enjoy the Pembina Hills, a gorge carved by the Pembina River. 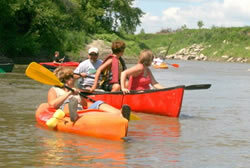 The Pembina River is located in the northeast corner of North Dakota, being North Dakota's only "white water river". The meandering Pembina River is considered "tame", but does offer excellent canoeing and attracts canoeing enthusiasts to its secluded landscape. The Pembina River originates north of La Riviere, Manitoba, flows southeast, and enters the U.S. northeast of Langdon, ND. 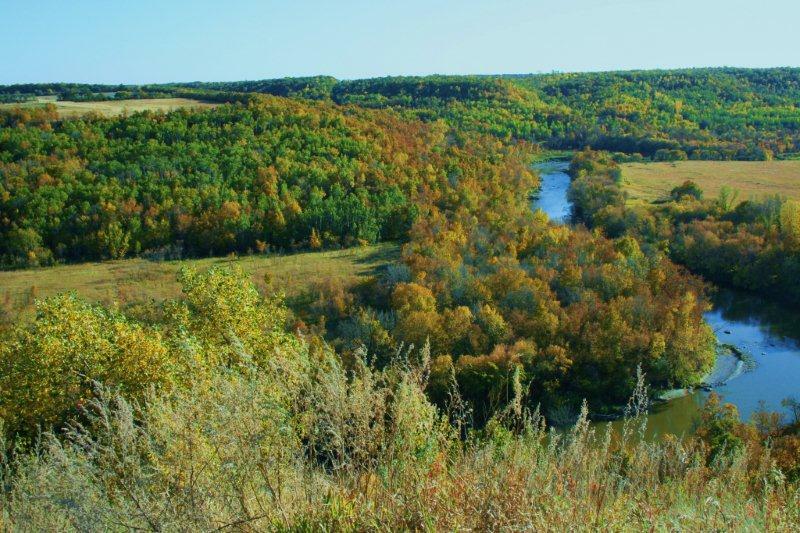 From the U.S.-Canadian border it flows southeast to Walhalla and east to the Red River. 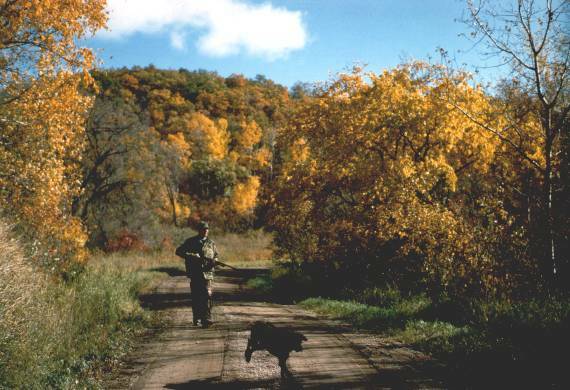 The area between the border and Walhalla is part of the scenic Pembina Hills and one of the few wilderness areas left in the state. Near Walhalla the river is considered the best for canoeing, as the river flows very fast over many small rapids. 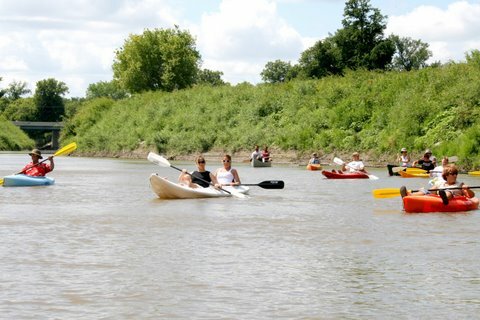 Current river levels and conditions during the season can be obtained from the North Dakota Forest Service in Walhalla, (701) 549-2441. 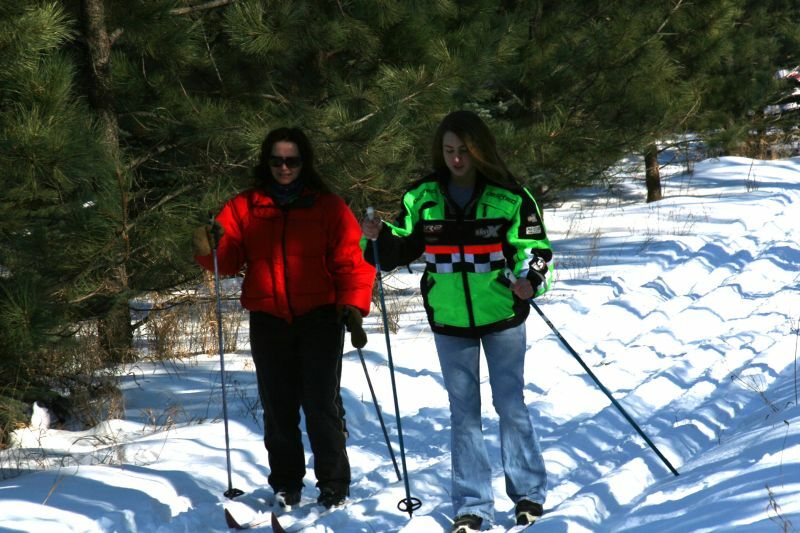 One area to tempt the nature lover with hiking, horseback riding, picnicking, cross-country skiing and snowmobiling is Tetrault Woods State Park. 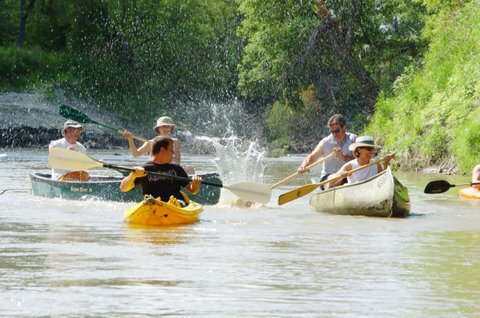 This 420 acre tract of an undeveloped wildlife setting is an adventure for the entire family. 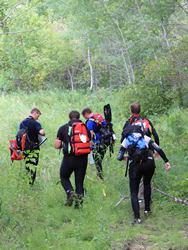 For more information contact the ND Forest Service, (701) 549-2441. Tee off at the Walhalla Country Club, a scenic 9-hole grass green golf course located in the beautiful Pembina Hills. 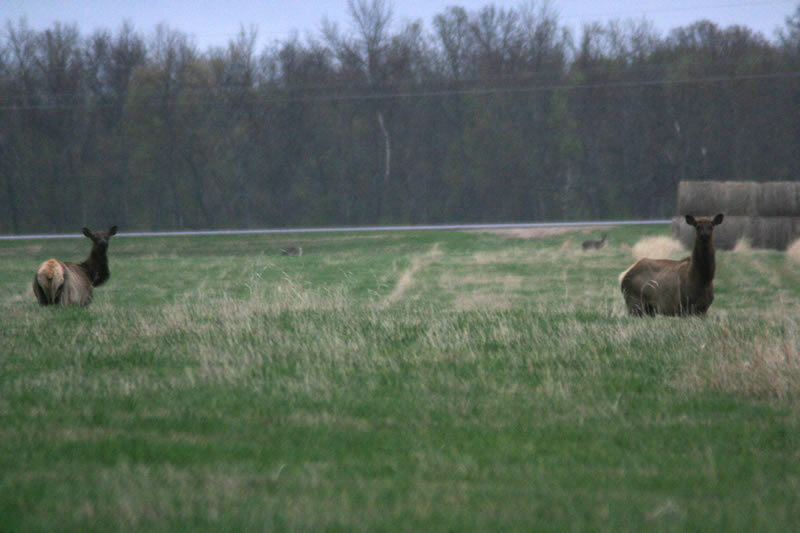 It is common to see a doe and her fawn grazing on the fairway, or a moose in the fields below. So if you lose your "ball" you will have no problem finding the natural beauty. The course is complete with modern club house, driving and pull carts are available for rent, two decks, and a screened-in-porch, complete restaurant, lounge and banquet facilities, open seven days a week for your convenience. The Walhalla Country Club provides accommodations for social events and business conferences. 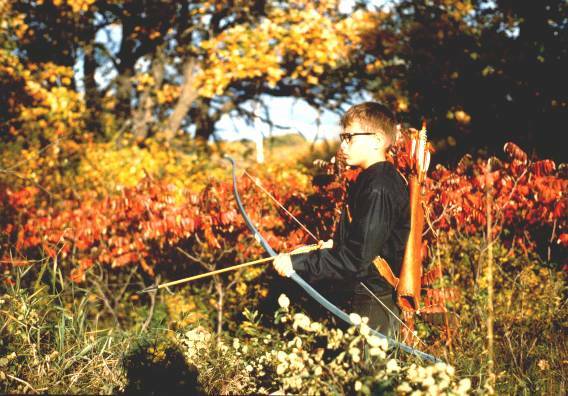 For more information contact (701) 549-2357. 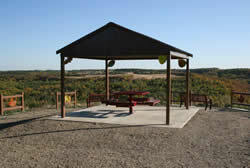 The scenic vista (lookout) has an elevation of 1,155' above sea level. 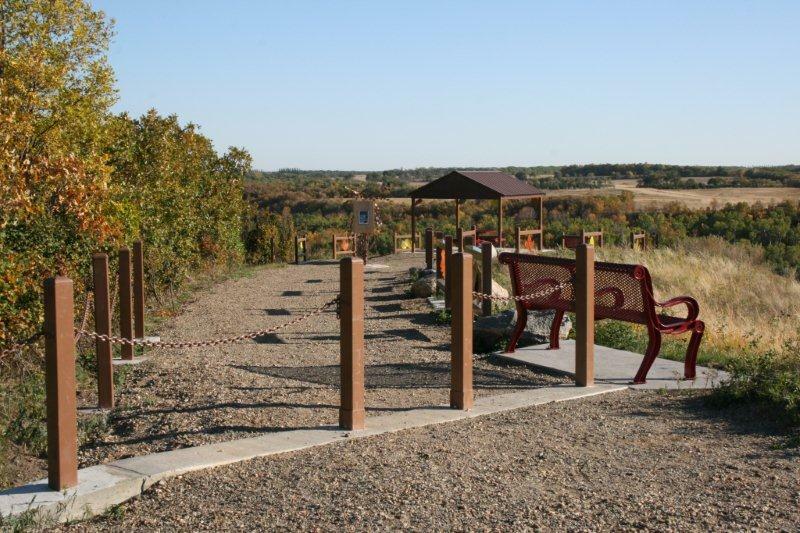 The Vista overlooks the beautiful Pembina River and the Pembina Hills. 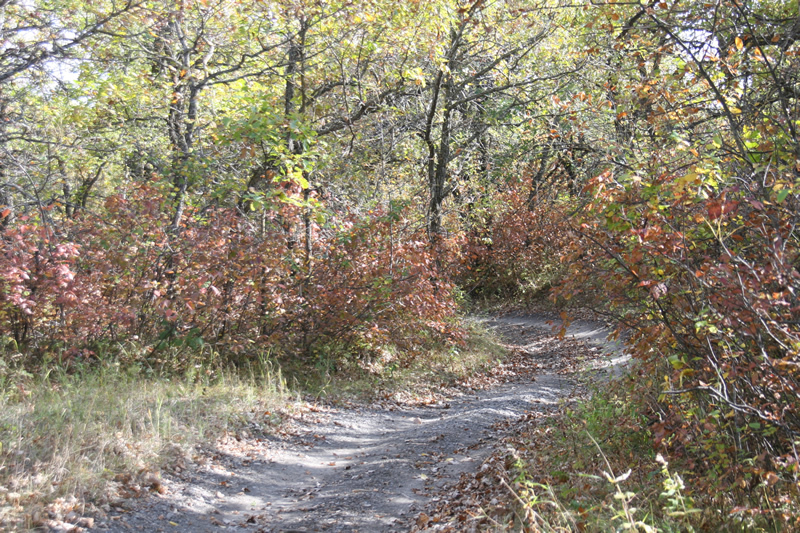 A beautiful site in the summer and fall, a dirt road for hiking, biking and horseback riding, following the road west will take you to the Tetrault Wood Overlook (this road is not recommended for cars). Parking is available at both scenic overlooks. Winter is truly a phenomenon in north eastern North Dakota. 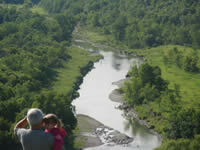 Carved into the heavily wooded Pembina Gorge is an alpine ski area. 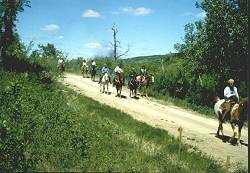 Frost Fire is seven miles west of Walhalla on Highway 55 and has gained widespread popularity throughout North Dakota, Minnesota and Canada. The beautiful Pembina Gorge forms the impressive backdrop for Frost Fire. 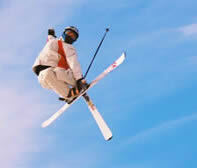 There are ten ski runs; 3 beginner, 2 intermediate, 5 advanced runs and a Half Pipe and Terrain Park. They also have one double and one triple chair lift. 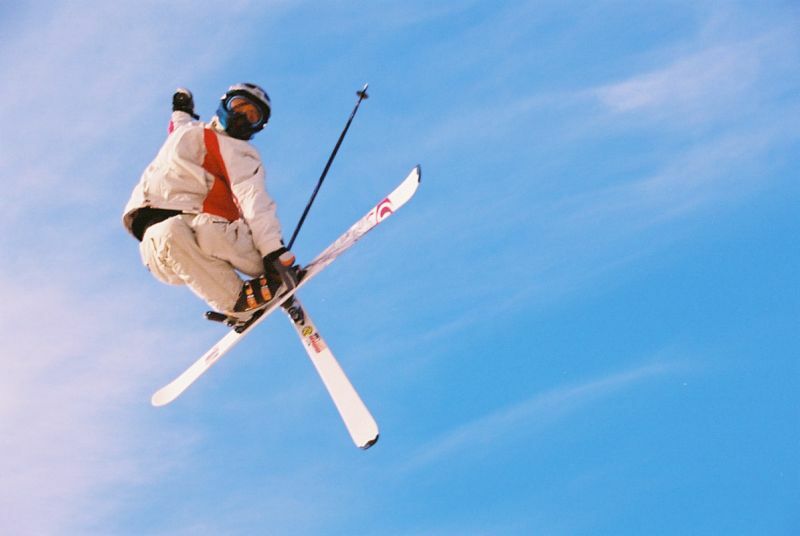 Frost Fire has the ability to make snow on all runs, combined with daily grooming. Rental equipment is available. Day lodge, grill, lounge and dining room is available for the skier's comfort and convenience. Families have discovered they don't have to travel long distances to enjoy a weekend of skiing, which has made their favorite winter sport affordable for skiers...the hot dog, the expert and the beginner. 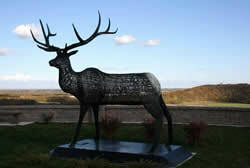 Frost Fire Lodge provides accommodations for social events and business conferences. 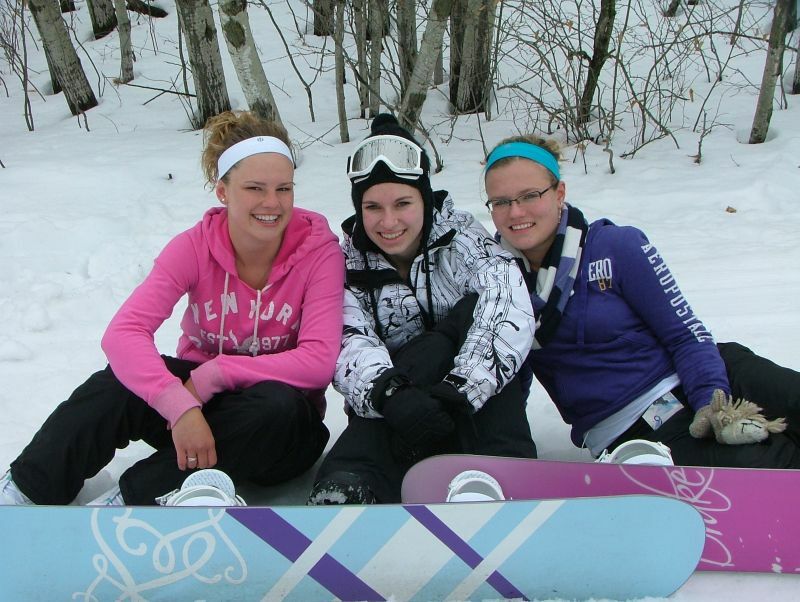 For more information contact Frost Fire Ski Area (701) 549-3600. 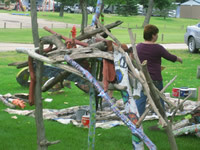 On summer weekends, many visitors spend the day shopping in the area, golfing or trekking through the hills and then settling in for the evening performance, at the covered amphitheater which has captured the heart of summer weekend visitors as they come to Frost Fire to enjoy musical theater classics. The amphitheater musical runs on Saturday and Sunday, usually beginning the last weekend in June through the first weekend in August. 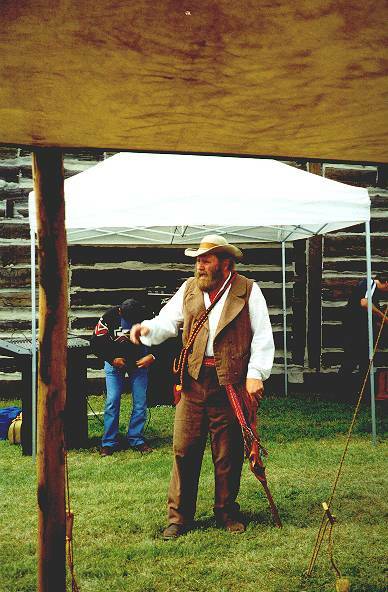 Frost Fire has offered such classics as "Civil War", "Annie Get Your Gun", "I Do I Do", "Paint Your Wagon", "Fiddler on the Roof", "The Music Man", "Big River", "Me and My Girl", "Forever Plaid", "Pump Boys and Dinettes" and many others. 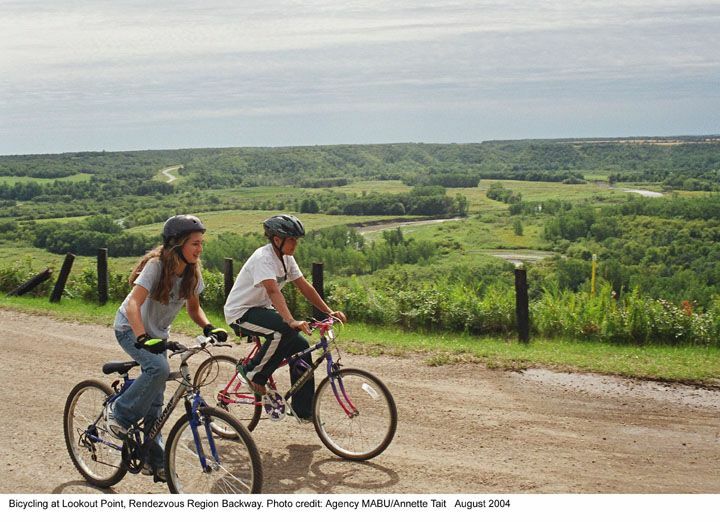 The Pembina Gorge extends from the Canadian border to just northwest of Walhalla, encompassing most of the largest uninterrupted block of woodlands in North Dakota, approximately 12,500 acres and the longest segment of unaltered river valley in the state. Surging waters carved the Pembina Gorge out of soft marine shale, creating one of our deepest and steepest river valleys in North Dakota. 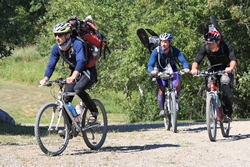 In this rugged and sheltered setting, an enormous swathe of forest is nestled in a transition zone where three different bio geographical provinces come together - boreal forest, ester deciduous forest and central grassland. 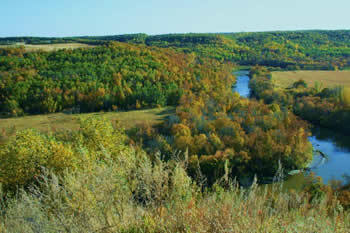 The Pembina Gorge is home to the most extensive oak woodland in the state, the most extensive wetland thickets and notable avifauna density, the greatest development of birch woodlands, the least locally disturbed river system, the largest collective area and greatest association number of upland shrub lands. 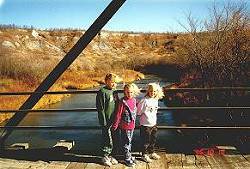 At least 65 different naturally diverse features were documented to be in the Pembina Gorge, including 30 plant species and 21 animal species which are categorized as being "rare" in the state. 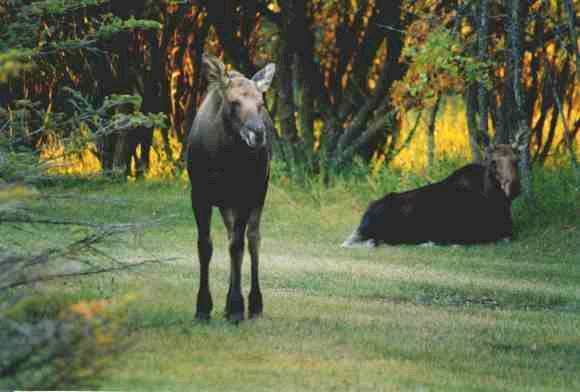 Walhalla has been known as the "Moose Capital of North Dakota", because of the large concentration of moose in the area. 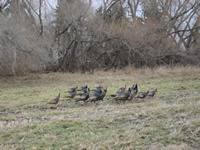 Wild turkeys, ruff grouse, waterfowl, black necked pheasant, moose, deer and elk have found the Pembina Hills a haven. Some of the best moose and elk hunting in North Dakota exists here in this virtually unexplored wilderness, which makes this area a "sportsmen's paradise". Snowmobilers also find this an exciting vacation spot. 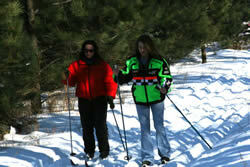 The Pembina Gorge Trail System has over 450 miles of state groomed trails. The views along these trails are anything but ordinary. 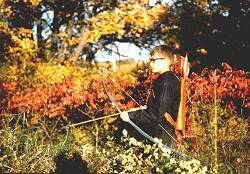 When one thinks of the flat, open lands of the region, these hilly and mountainous areas are breathtaking in the winter season, with warming houses stationed along the trail system. 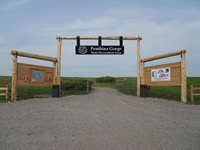 The Pembina Gorge System was developed by the Northeast Snowmobile Club Association. 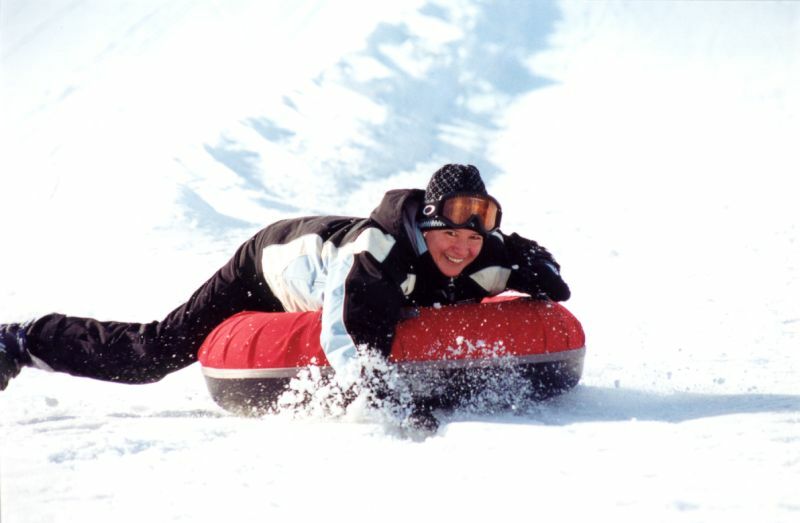 The Northeast Snowmobile Association has an annual ride "The Snowfest", which is always held on the Martin Luther King weekend. As the second oldest community in the state, Walhalla has been blessed with a rich historical heritage. 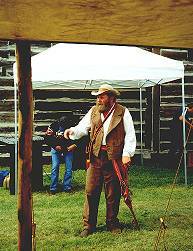 In 1843, Norman Kittson, an American Fur Company agent built a trading post. 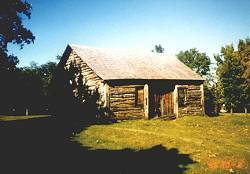 The Kittson Trading Post is the oldest building in North Dakota, which is located in the Walhalla State Historical Park and is preserved by the State Historical Society. 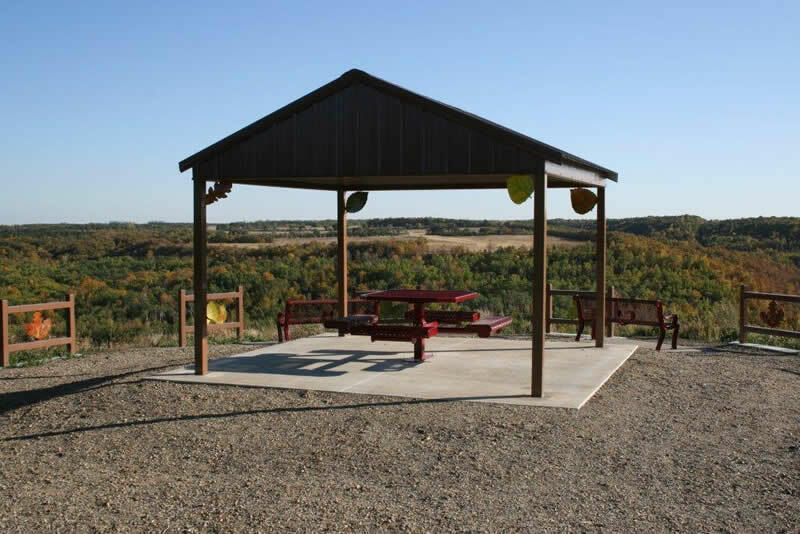 A picnic area with shelter, hiking trails and restroom facilities are also located in the park. "The Martyrs of St. Joe"
Between 1843 and 1873, this house and general store owned by Antoine B. Gingras served the Metis community in the Northern Red River Valley. 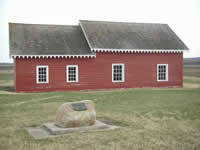 The two buildings on the site are the oldest standing structures built by Euro-Americans in North Dakota. The Gingras buildings were listed on the National Register of Historic Places in 1975, and are preserved by the State Historical society. 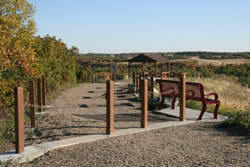 The site is open daily, May 15 to September 15, 10:00 a.m. to 5:00 p.m. This 15 acre park offers complete camping facilities, with camper hookups, shower and restroom facilities. 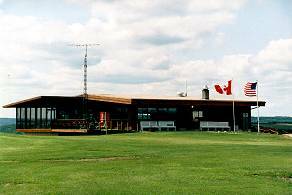 Heated swimming pools, wading pool, picnic shelters, horseshoe courts, sand volleyball, and playground equipment can be enjoyed by all visitors. Red Cross Certified swimming lessons are given at the pool throughout the summer. 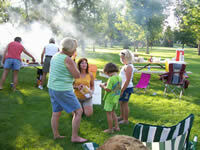 This 2 acre park is located in the center of Walhalla adjacent to the local school with playground equipment, two lighted tennis courts, basketball court, and an ice skating rink with warming house. This 5 acre park is Walhalla's primary baseball and softball complex, with playground equipment, basketball court and restroom facilities. 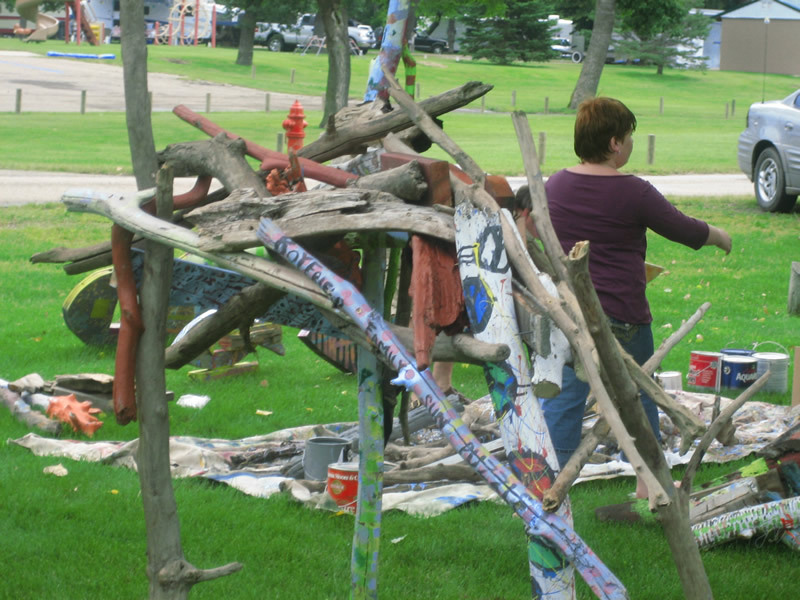 The Walhalla Park Board organizes a summer recreation program for children of all ages. Organized practice and games for T-Ball, Little League, plus Babe Ruth and Girls Softball are some of the summer recreation programs available.